This is a very easy sensory play project. All you need to do is paint the children's hands and have them press their hands on paper. 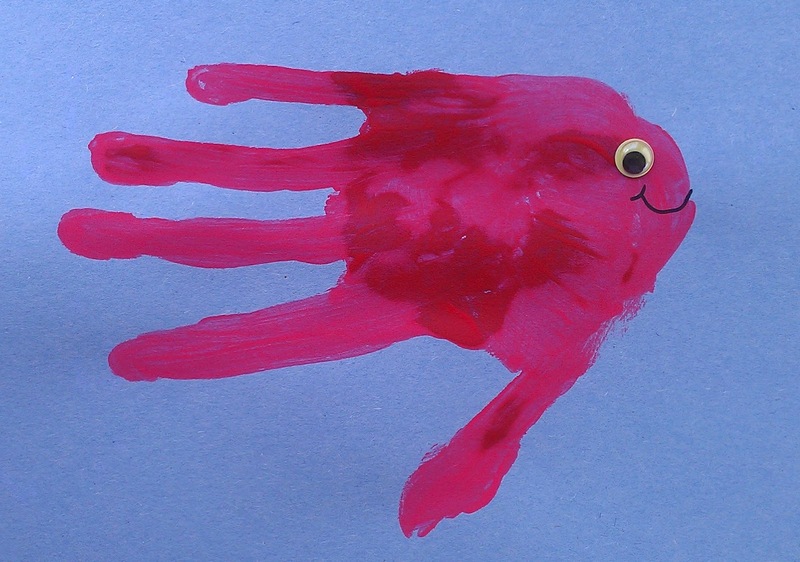 let them use their hands in the paint to fill in gaps, then add googly eyes and a smile!